My daughter is getting to the age where she's very interested in all the holidays. 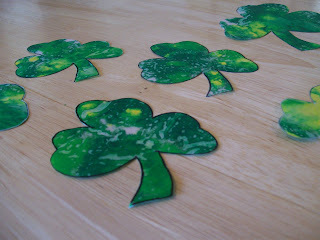 I thought we'd be festive and make some St. Patrick's Day decorations. 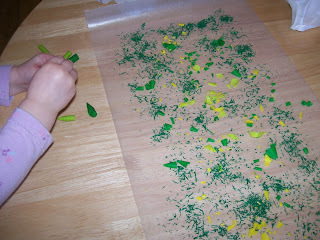 We've never done anything with wax paper and crayons before so I thought now would be a good time to give it a try. 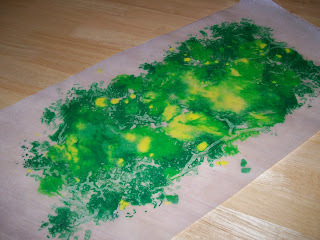 Begin with a 12-by-16-inch sheet of waxed paper. Fold it in half along its length; unfold. Deposit wax-crayon shavings (made with a handheld pencil sharpener) evenly but not thickly across one half of the paper. Fold the clean half of the paper over the shavings. Crimp the three open edges with a 1/2-inch fold to hold the shavings. Protect your ironing surface with a press cloth or kraft paper. Place the waxed paper on the kraft paper, and cover it with another sheet of kraft paper. Iron lightly on medium heat, checking after every few passes. Stop when all the shavings have melted; let cool. 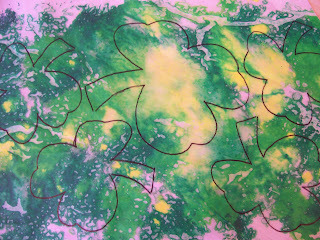 Next, trace and cut out clovers of various sizes. String each clover with a thread for hanging. Hang in the window to let the light shine through. Thanks for the idea Martha. Very fun idea. I guess you could use a variation and do the same kind of thing for other holidays. I like this idea! Cute. Thanks for this great idea. 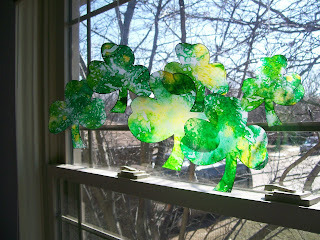 Would it be alright if I linked this craft to my blog, as I was posting today about shamrock shaped craft ideas for kids. My girls are going to try this tomorrow. How fun. Here is a link to my blog and I gave you credit and a link back to this site.